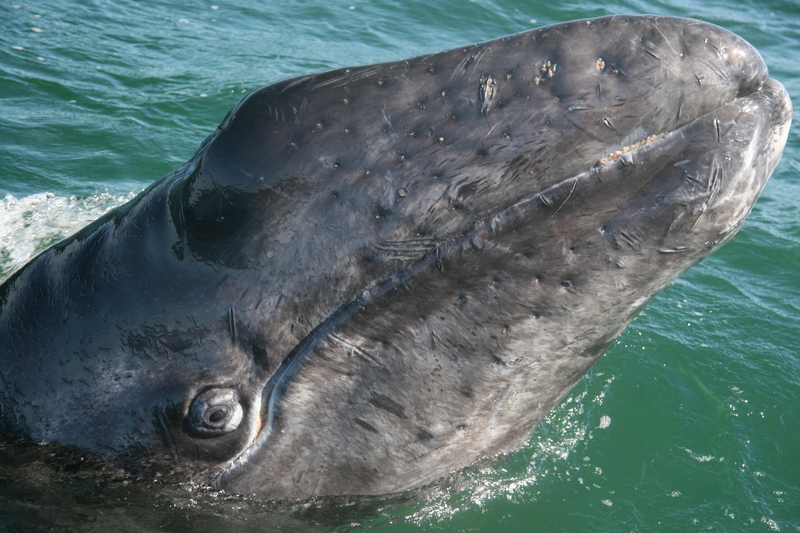 Gray whales, thought by some scientists to live as long as 100 years, were once commonly referred to as “hardheaded devil fish” because of the ferocity with which they would defend themselves and their young, smashing whaling vessels and killing their occupants. 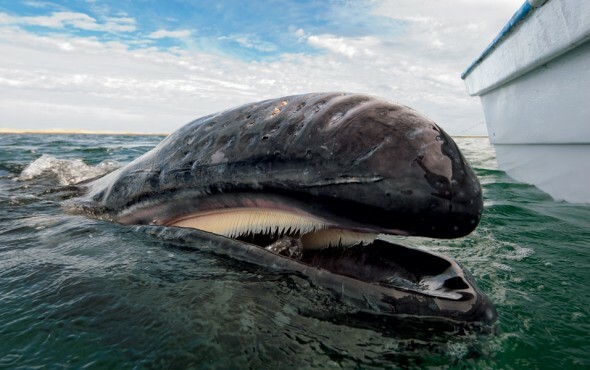 A gray-whale hunting ban agreed upon by most of the world’s whaling nations in 1937, along with the inherent resilience and adaptability of the eastern Pacific gray, has since allowed the species a rather remarkable rebound. 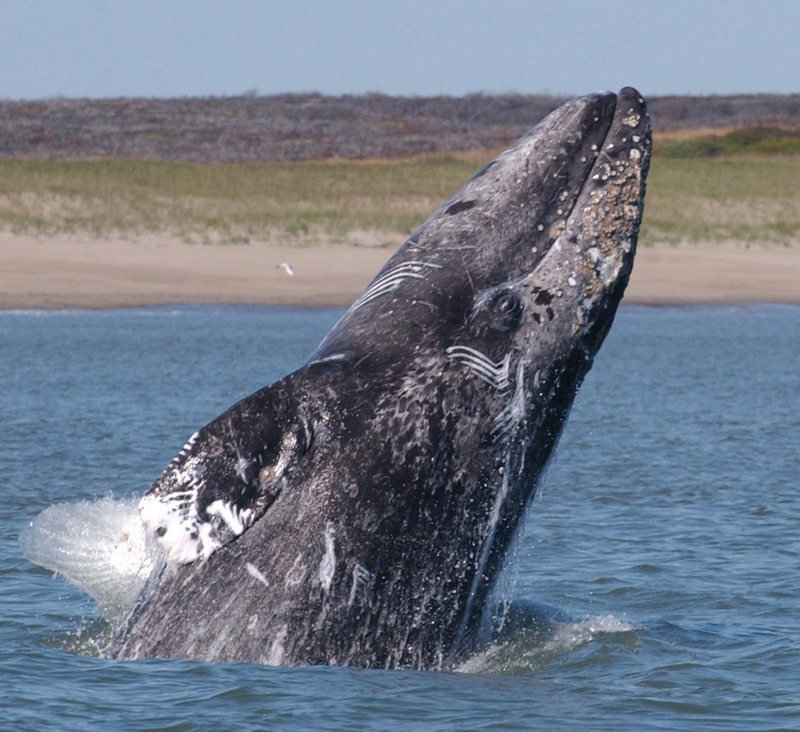 Its current population is estimated to be in the range of 18,000, and in 1994 the gray became the first marine mammal to be removed from protection under the federal Endangered Species Act. 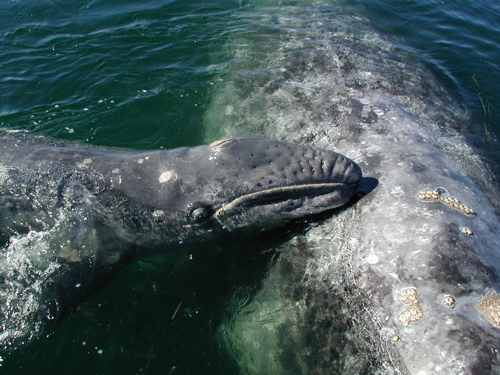 Still, the question of why present-day gray-whale mothers, some of whom still bear harpoon scars, would take to seeking us out and gently shepherding their young into our arms is a mystery that now captivates whale researchers and watchers alike. 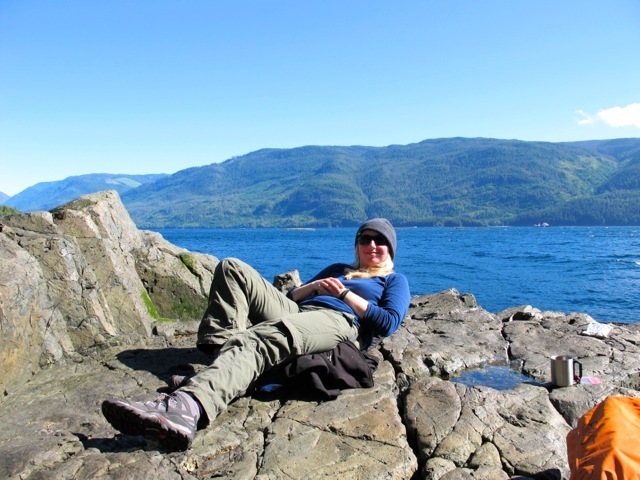 Some marine biologists have dismissed the phenomenon as little more than a reflexive behavior, suggesting that the whales are merely attracted to the sound of the boats’ motors or that they are looking to scratch their lice-ridden and barnacled backs against the boats’ hulls. 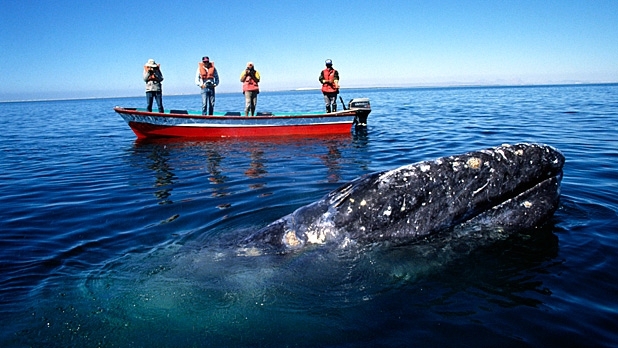 Still, a combination of anecdotal evidence and recent scientific research into whale biology and behavior suggests that there may be something far more compelling going on in the lagoons of Baja each winter and spring. Something, let’s say, along the lines of that time-worn plot conceit behind many a film, in which the peaceable greetings of alien visitors are tragically rebuffed by human fear and ignorance. Except that in this particular rendition, the aliens keep coming back, trying, perhaps, to give us another chance. To let us, of all species, off the hook. 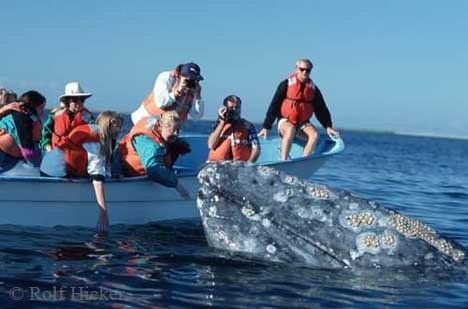 Of course, as the mother gray kept circling his boat on that February morning in 1972, the question of whether the grays of Baja had somehow heard the news of our gradual transition from murdering whales to marveling at them was very much on the mind of Pachico Mayoral. “At one point she went directly under and lifted the boat out of the water,” Ranulfo, the son, told me. Pachico and his partner were poised there helplessly, like Sinbad and countless other travelers along the “whale road,” as early Icelanders once referred to the sea. I found it on 16 spot. You can reach google top10 easily using one handy wordpress plugin and increase targeted traffic many times.